It's no secret that it has been a rough year for XRP's price just like every other coin out there. Nonetheless, Ripple has been pushing partnerships and building infrastructure. This points to the coin having the strong fundamentals needed to see a rally when the market begins to pick up again. Assuming it does, what levels can we hope to see in 2019? 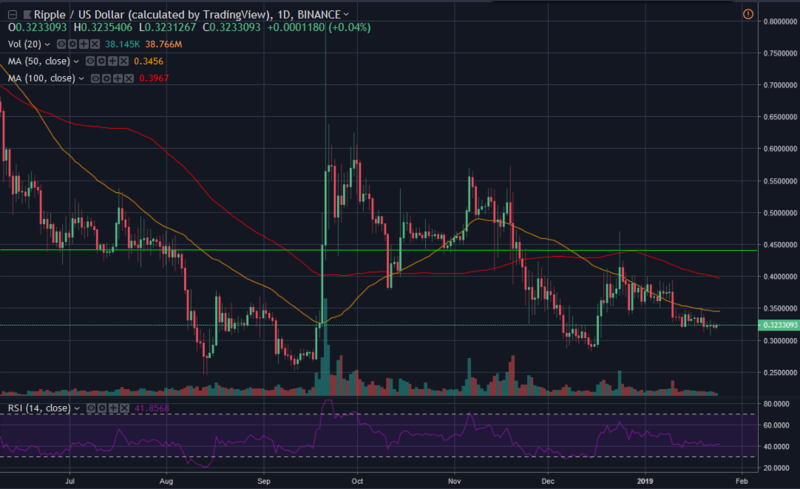 This is the 2019 Price Analysis for XRP. - Ripple has been hard at work the last year partnering with banks and other businesses, promoting the xRapid protocol. - Ripple is hoping that their system will replace SWIFT as the global standard. - Upside on a longer scale sees some serious resistance at $0.44, $0.60 and $1.00. - If all these levels can be broken then it is relatively clear sailing until we reach previous ATH. Looking at the daily chart, we can see our first major hurdle comes in at about $0.44, aligning not only with previous resistance at this level but also nicely in line with the recent top of the 100 Day Moving Average. This looks to be the first point of major resistance on the path back upwards. Staying on the daily but expanding our view, we can see the next major level of resistance comes in at about $0.60. This level has repeatedly given support to the price on the way down and offered resistance ever since we went below it. At this scale it also becomes clear that the final major level of resistance will come, unsurprisingly, at about $1.00. After this level, there is really not enough historical resistance to make further predictions, but it is likely that after we break $1.00 a relatively quick push to the previous All Time High (ATH) can't be far behind. 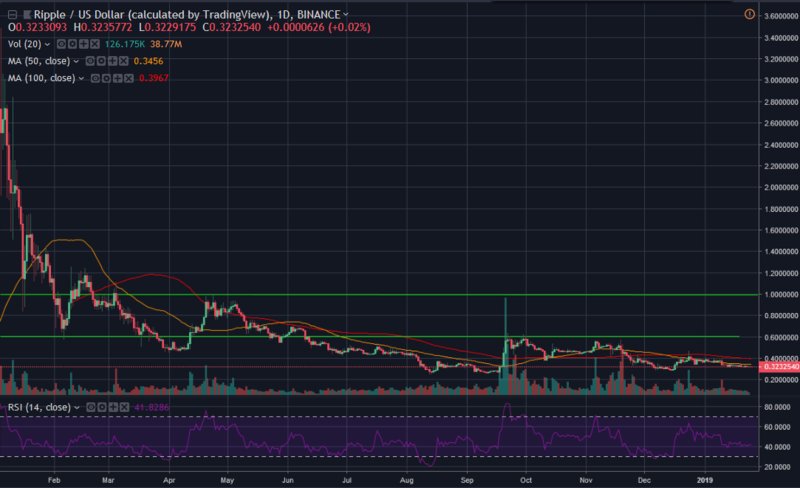 It is impossible to say if the next run-up to the ATH will happen in 2019, however watching for the breakout of these key resistance levels will give you an idea of when we're getting close. As ever, stick here at Chepicap for all updates on XRP price action! Will we see a new ATH in 2019?